BID is an independent charity that exists to challenge immigration detention in the UK. Our vision is of a world free of immigration detention, where people are not deprived of their liberty for immigration purposes. 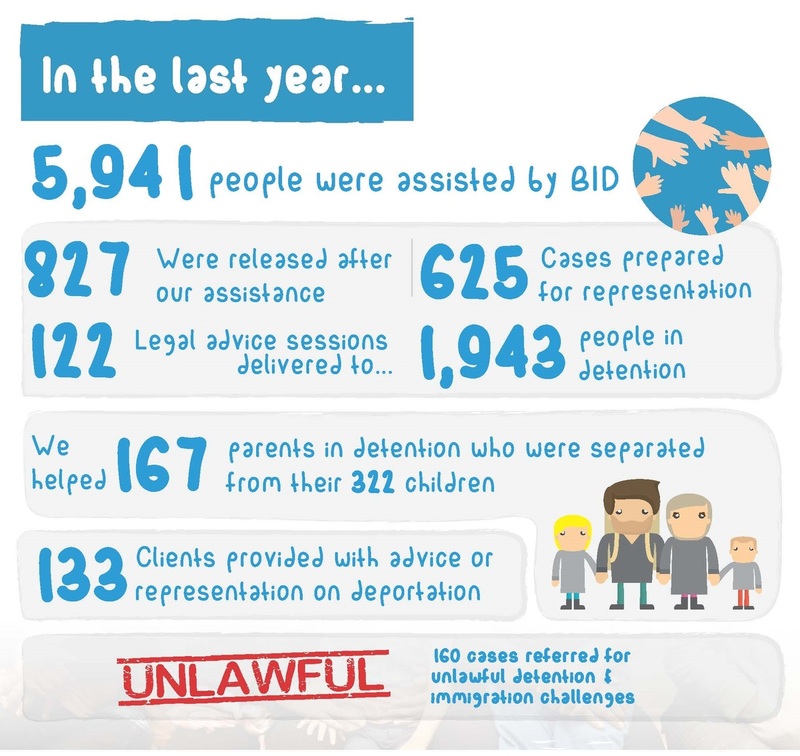 We challenge immigration detention by providing free legal advice, information and representation to thousands of people held in detention across the UK. Through our research and policy work, we challenge existing detention policy and practice as well as pressing for an end to detention.